The FC410LI Line Isolator Module is designed to be used on the FireClass addressable loop control panel. 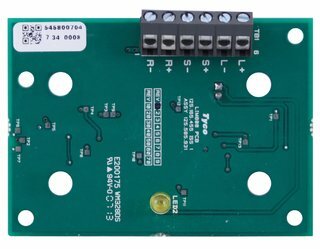 It monitors the line condition and when detecting a short circuit will isolate the affected section whilst allowing the rest of the addressing circuit to function normally. The purpose of the FC410LI Line Isolator Module is to ensure that, on a looped addressable system, no short circuit fault can disable more detection devices than would be lost on a conventional non-addressable fire circuit.